In addition to the many large custom homes that we design and engineer at EVstudio we also put together a fair number of smaller homes. This floor plan comes from a speculative investment home that we designed for an affordable lot in Denver. In only 1,200 sf it combines three bedrooms and two bathrooms, an eat-in kitchen, a large living area and oversized walk-in storage closet. Small floor plans really benefit from an architect and the ability to think creatively with minor details of the design. It is important to eliminate hallways and wasted space, combine functions where possible and still provide functional rooms. In some cases we’ve put 3 bedrooms into as little as 1,000 sf. This is an example of an 1,100 sf home with three bedrooms and two bathrooms. very simple and good plan. Please email design@evstudio.com your project details and our team will review and get back to you. I have plot size 20×50` east facing in jaipur. 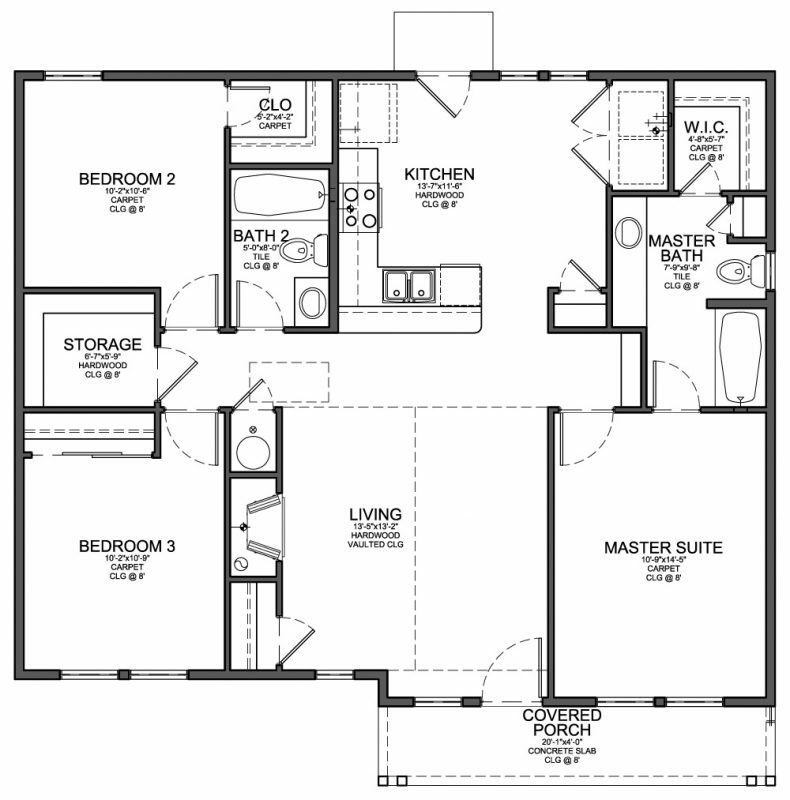 I want duplex house plan consisting of one drawing room and one bed room, one kitchen, hall and two bath at ground floor the strair should be out side and porch. do you have any sketches of the outside view of this home? I am interested in purchasing these plans. We live in Texas and have recently adopted my husbands sister children. We have inherited land and are wanting to put up a metal building house. We have looked at quite a few house plans and really like this one. Would you please contact me and let me know how to go about purchasing these plans. We are leaning towards a 30×30 or 40×40. Bedrooms don’t have to be large but living room space does. We spend most of our time in living room. The boys will share a room (ages 5 and 11). We also have a daughter who is 10. We don’t want a huge house to upkeep after kids are grown. That is why we are leaning towards a smaller house. We want bedrooms smaller to be used later as an office and guest room. Nice plan though I wish you could include the dinning room too. Feel free to email us directly at design@evstudio.com and we can talk about pricing and how to really customize a plan to your individual lot and your program. I really need this house plan please help me get it please. 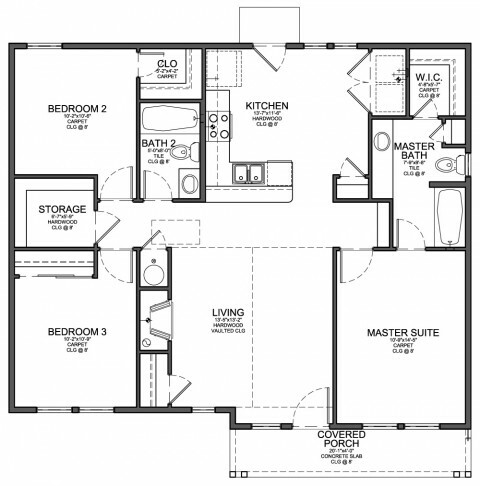 I like the house plan and would like to use it on a 50 feet by 100 feet plot of land. sir i am painel adin came from Tawi tawi,wil u pls send me the house plan,40 feet lenght and 31 wide;i want 3 bed rooms,2 cr and porch.thanks and more power. Hellow i need help i ve a very small plot 10m *16m i want to build a 2 bedroom house…iur help will be appriciated.